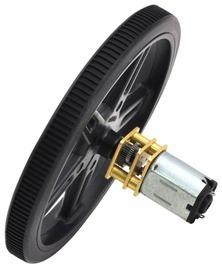 These black plastic wheels press-fit onto the 3mm D shafts on our micro metal gearmotors with 3mm D-shafts, to make a nice drive solution for small robots. 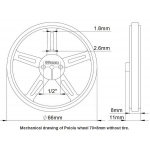 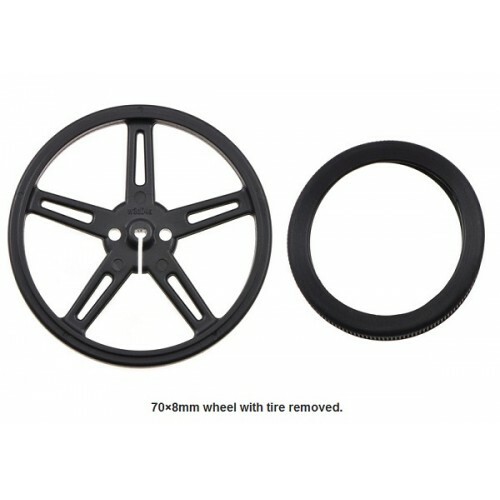 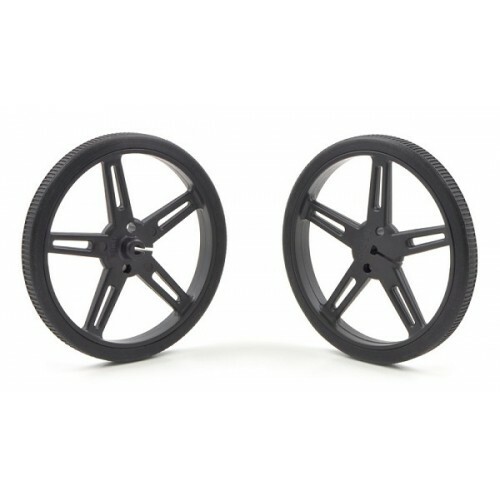 The wheels have silicone tyres and measure 70 mm (2.75″) in diameter. 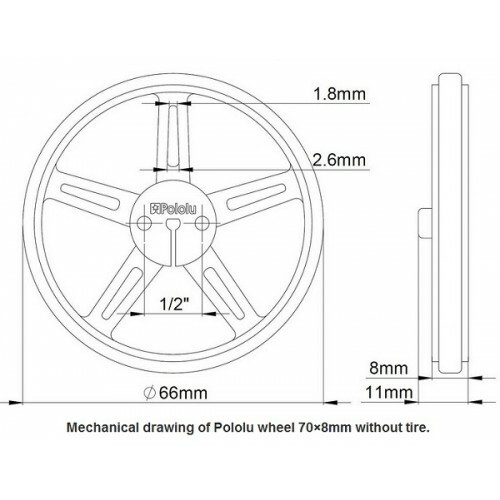 Two additional mounting holes for 4-40 screws make it possible to use the wheel with several of our universal mounting hubs. 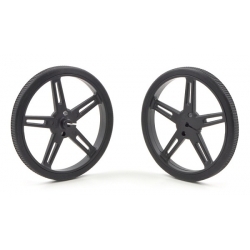 The wheels are sold in pairs.